1. I only drink black tea and milky coffee I think milky tea is just really bad but on the other hand black coffee — not nice! I know right quite weird! 2. I have a twin sister but we’re not identical at all!! And we’re so different it’s like east and west! But I love her dearly! 4. I will be able to live on popcorn forever I just looove popcorn so much! I go to the movies just so I can have yet another excuse to have some, not that I really need one though lol! Plus it’s healthier than chips so I don’t even feel bad about it! 7. I’ve never bitten my nails ever in my life, my twin sister on the other hand has the shortest little nails ever! 1. She’s funny, happy, inspiring and a fellow South African, MissAddy! You can go check out her blog at http://missaddymblog.wordpress.com/ . She’s amazing and always updating so there’s something for everyone. 3. Ashley’s blog at http://lifeofahousewife.com/ is definitely one of my favourites. Her blog is the cutest blog ever and she’s stunning! She’s all about makeup and her blog is just so happy. Go check her out! 4. This next one is a must see! Erin from http://scrapbookstyle.wordpress.com/ Her blog is gorgeous! So personal but very high fashion and such a fun read! 5. Vintage Girl At Heart, wow if you love a good read, then this is for you. There’s something for everyone and I like that it’s much more personal than most, http://foodfashionmakeup.wordpress.com exactly like the name says it’s about fashion, food and makeup, my favourite things in the world! 7. And last but not least, http://thirteenthandhudson.com/ What a stunning blog these girls have!! Well done Kim, Kat, Sam for such an original blog! You are more than welcome!! I adore your blog :) I’m definitely going to need to check out these blogs soon! Such a pleasure! I really like your blog! 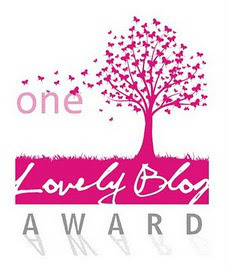 Thank you so much for your very kind words as well :) Happy blogging! !